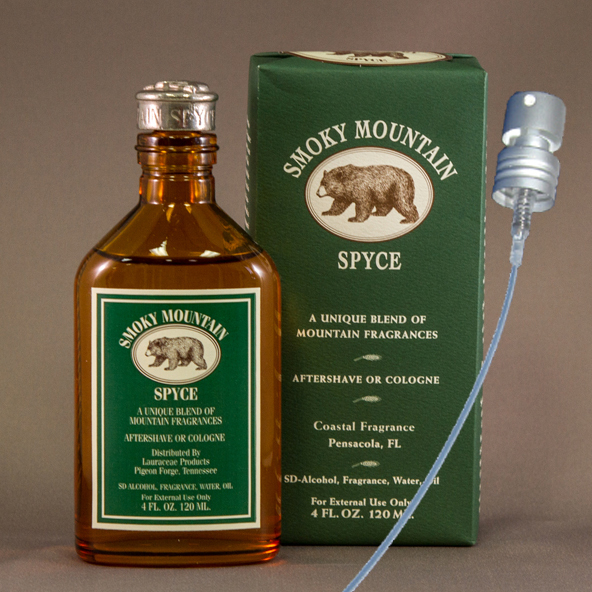 Due to overwhelming customer demand, Smoky Mountain Spyce Men's Cologne was finally added to our website. A best seller at our Blowing Rock store for years, this clean, spicy men's fragrance is perfect for every mountain man. And it's loved by women! It comes in a 4oz bottle with a genuine pewter cap and embossed with a bear! Atomizer included.